Communication – Team building exercises often involve employees having to communicate in new and exciting ways. It’s a great way to test and develop how well they speak and listen to each other under pressure. Creativity – When employees are stuck at their desks all day, they can eventually also feel like they’re stuck in a rut. A team building activity can be just the break they need to try something different, take ownership over a project, and explore their artistic abilities. Problem Solving – How well does your team put their heads together to solve a problem? Oftentimes, employees get so caught up in their own tasks that they don’t think to collaborate to tackle a tricky challenge. Team building can help to show your colleagues that there are benefits to working together. Collaboration – You may think it goes without saying, but one of the biggest skills linked to team building is collaboration. Team Building Activities Las Vegas exercises are designed to get team members working together in new and unique ways. When is the Right Time for Las Vegas Team Building? There’s never going to be a perfect time for Team Building Activities Las Vegas. Getting everyone away from their desks and phones for a few hours can seem like a big ask, especially if your colleagues are customer-facing, or working on commission. So, how do you decide when is the best time to try a Las Vegas Corporate/Company Team Building Activity? Scheduling may be a challenge if participants have busy calendars or important roles within your company. If you have key stakeholders who need to be at the event, ensure that those individuals are free before you commit to a day and time. 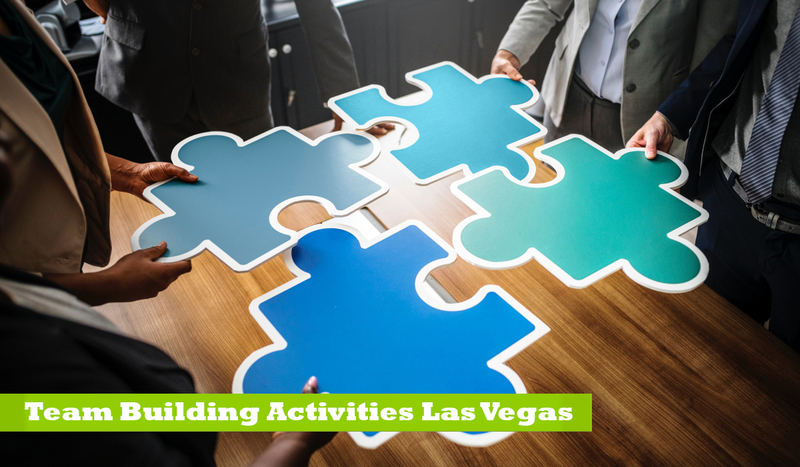 Depending on the Team Building Activities Las Vegas you choose, you may be able to run your team building event over a few hours or a few days to accommodate more people’s schedules. You can also plan to try some team building outside of normal company hours. This can be a great way to ensure that it does not negatively impact your business – but it may make it a harder if you’re asking employees to sacrifice their free time in the evenings or on the weekends! Here’s the good news: the majority of our team building activities can fit into any agenda or timeline. Whether you are looking to plan a full day of activities, or you have only one hour with your group – we can help you find a solution that works for you.